Our ACCU-STACK 5000 digital ream stacker/accumulator will gently and accurately stack reams to a preset stack count ranging from 2-10 reams. Once the desired stack count is achieved, the Accu-Stack 5000 discharges the stacks to the downstream equipment. 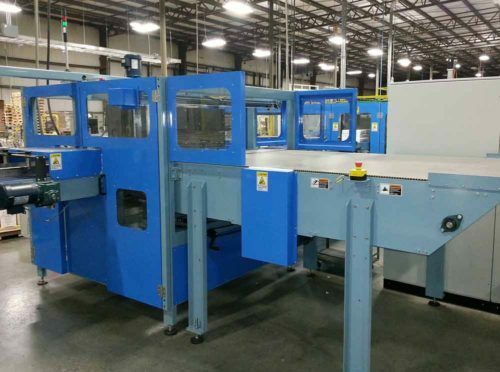 If the downstream equipment is not ready for stacks, the ream stacker will divert the stacks to an accumulating bed. 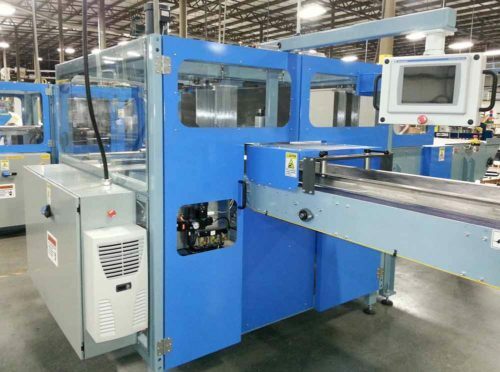 When the downstream equipment is ready, the Accu-Stack 5000 automatically feeds the stacks back into the line. 1 axis of servo controlled motion (Allen-Bradley standard, other available upon request). Call DW Engineering for more information on our Pre-Stacker Accumulator.